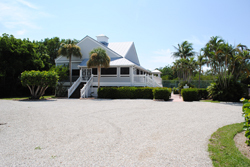 Lately I've been talking about all the different (and fabulous) condos and neighborhoods on Sanibel, and I have to mention one of my favorite! 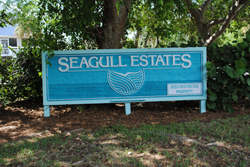 Seagull Estates is located on West Gulf Drive just to the east of Tarpon Bay Road. Seagull Estates is made up of two streets: Daniel Drive and Christofer Court. 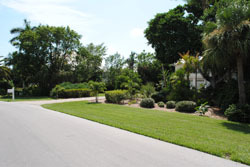 The subdivision has beautiful landscaping and well-kept homes. 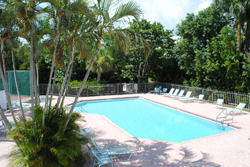 Miles and miles of Sanibel beach is just across West Gulf Drive and the deeded beach access is easily accessible. Daniel Drive weaves through the neighborhood and has two entrances on West Gulf Drive. 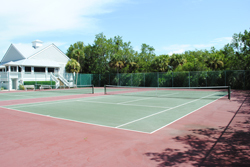 One of the best features of this near-beach neighborhood is that it has its own clubhouse, pool and tennis courts for the residents' enjoyment! The clubhouse is large and it's the perfect place for gatherings and parties! This is a highly desirable area and there have been three home sales so far this year. Both were three bedroom, three bath homes with selling prices from $549,000 to $720,000. As always you can contact me and I can fill you in on current properties for sale in this area. I have a great video of this area and it's worth a look! 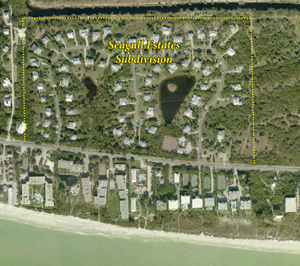 Just go to my "Seagull Estates" webpage and check it out! If this area looks interesting to you, just let me know and I can put your email address in my "automatic search" system and you will be notified whenever a new listing hits the market! I have also started a new program that I can offer Sanibel residents (For FREE of course!) where I will be sending out neighborhood updates. My updates will include current listings, recent sales and general information concerning the Sanibel Real Estate market with my views on current trends. If you are a resident, or just interested in a particular area, let me know and I will add your email to my list!